Texas Turns Away From Prosecuting Truants : NPR Ed Since the mid-1990s, Texas has treated truancy as a criminal offense. Now, state lawmakers say that was a mistake. 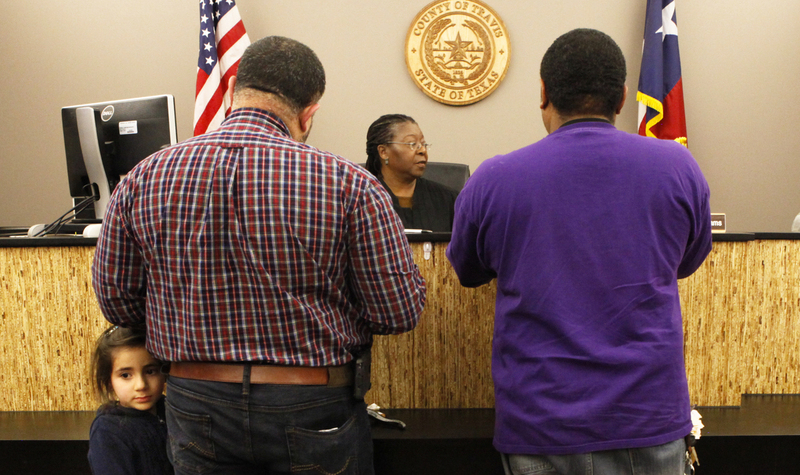 For two decades, Texas has treated truancy as a criminal offense. That means most cases were prosecuted in adult courts where children, along with their parents, faced jail and fines of up to $1,500 for missing school — usually 10 or more unexcused absences. Texas lawmakers now say this policy went too far. So last week, Gov. Greg Abbott, a Republican, signed a law that no longer treats truancy as a Class C misdemeanor. Legislators in both chambers of the state Legislature approved the change (House Bill 2398 and Senate Bill 106) in May, in large part because of the data. It was showing big increases in the number of truant students who were being booked as "criminals" in 12 of the state's largest counties. We reported in April how, in 2013, more than 115,000 cases were brought in Texas courts, a number so high the U.S. Justice department was investigating. According to Texas Appleseed, a public service law center based in Austin, 1,283 teenagers were jailed over the past two years for missing too much school. This data had not been made public until recently, and it was enough to convince most lawmakers that there was a problem. Critics have long noted that the reasons why some students are chronically truant can be really complicated: pregnancy, homelessness, abusive home lives or the need to care for a family member. "We've met kids in court who've never had a disciplinary referral at school, students who have chronic health problems who end up in court because a parent may have forgotten to turn in a medical excuse," Deborah Fowler, an attorney with Texas Appleseed, told me earlier this year. In the past two years alone, there were about 215,000 truancy citations across Texas, all Class C misdemeanors. Under the new law, Fowler says that number is likely to fall significantly. Adult municipal courts will still handle truancy cases, but judges will now be required to closely examine the reasons students miss school. The new law will also require school administrators to enter into "behavior contracts" with students and their parents before they refer them to adult court. School districts will now have to come up with a more robust response to the problem. This means they'll have to provide students more support services, counseling and academic options that help kids get back on track to graduation. Fowler says there's going to be a big learning curve among school administrators, who often just want to get rid of troublesome kids, and judges who've been too quick to throw the book at truants. Still, says Fowler, there are at least two problems the new law does not address. Schools, for example, that tend to see truants as "troublemakers" who just don't belong in school, will still be allowed to push them into GED programs rather than helping them graduate. Texas Appleseed's latest data show that over the three-year period ending in 2013, more than 6,400 students who were forced to take the GED failed it. Eight out of 10 were poor, black, Latino or in special education, which is why the U.S. Justice Department has been looking into the problem. Fowler says the new law also sidesteps the over-representation of students with learning disabilities who are caught up in the truancy problem. The new law has the support of the state association of school boards, business groups, the organization representing justices of the peace and constables and the Texas Juvenile Justice Association.